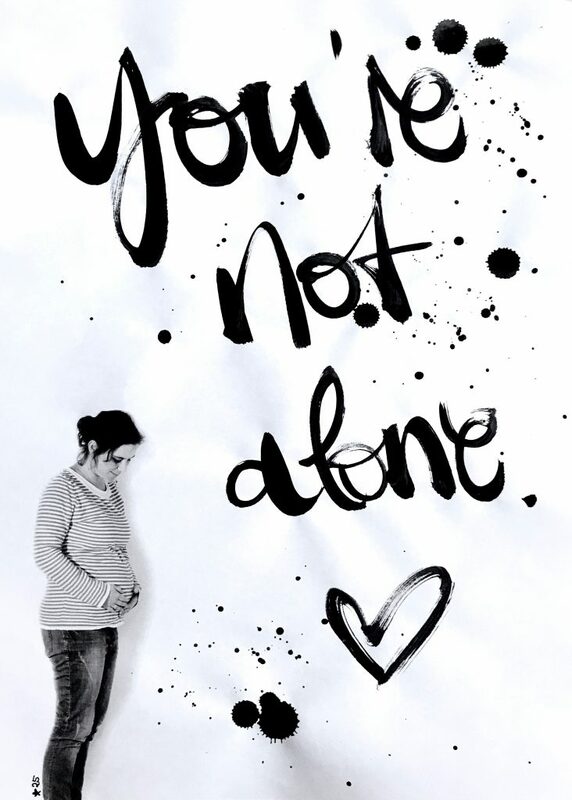 *25 weeks: You’re not alone. When I was working out, a little while ago, this song started playing and I was surprised by how it hit me. „You’re not alone…“ A tear fell down on my yoga mat, as I realized: I have felt so very alone. So entirely isolated in this experience, that is so immensly different for every woman. I am sure, most joys and pains of pregnancy and early childhood years are very universal and so many can relate to so many single issues. Still, the overall experience is not quite compareable. I remember things mostly foggy from my pregnancies or the time after, but I remember vividly, that the second time around it was a dark and rough time – for month and month. Being alone in charge of two, a newborn and a two-year-old, not functioning well with my hurting body and my sleep-deprived mind – was the most overwhelming time of my life. A big part of the challenge in parenting is, that you need to deal with what you’ve been given. And I struggled with that. I struggled with not being in charge of my own life, but letting the force of nature be. I wish I could say I made my peace with it, but I have not. I was terrified, to hold another positive pregnacy test as much as I was ecstatic to welcome another little soul into our family. We longed for you, sweet Baby, we prayed and hoped for you. I am excited beyond words to meet you, but make no mistake, I am also terrified of the time ahead of me. It both excists in my heart. And I hope, one day, when you read this and are old enough to understand, you will see how much I loved you, so much in fact, that one day the missing-you in our family grew bigger than my fear. And we leaped. And now you’re on your way. You see, if you look at this picture closely it is sort of funny (cause it is very obvious), that I am in fact not alone. You’re right there with me. In the same way, you are not alone, because I am all around you. I’ve begun to understand, that that is what God tries to whiper to me every day. „You’re not alone, I am all around you.“ So as I walk – sometimes brave and strong, sometimes weary and fearful – into this challenging season of birth and post-partum and the first year with a newborn as a mom of three, I try to remember this: As much as it feels like it some days, I am not alone. And neither are you.